We’ve already examined the five worst free agent signings of the 2015 NBA offseason, which saw Reggie Jackson emerge as something of an unappealing poster boy after he landed a comparable contract to John Wall — widely regarded by everyone in the know as a significantly better player. Against this backdrop, GMs who can mine the free agent market for real value are hailed as miracle workers, the faces of well-run teams that negotiate fairly and build championship contenders. With this sort of culture in place, top players are more so willing to accept less money at the negotiating table, and will join forces with a winning ballclub. Many of the five best free agent bargains of 2015 will likely find themselves essential pieces of deep postseason runs, while some of them simply represent great deals for teams struggling to right the ship. Lou Williams, a scoring machine out of the Deep South, can be compared to many players in the NBA but the most interesting (and most pressing, for our purposes) is to look at him against fellow 2015 free agent Monta Ellis. Both combo guards stand 6-foot-3 and weigh in at 175 pounds, and both were taken as mid second round picks in the 2005 draft directly out of high school. Last season, Monta Ellis put up 19 points per game in Dallas, while Lou Williams dropped in 16 points per game, as the sixth man in Toronto. 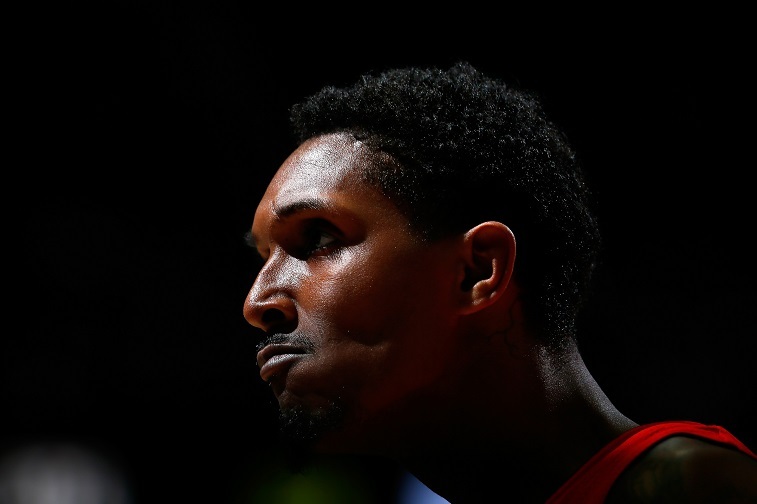 While Ellis signed on with the Indiana Pacers, for four years and $44 million, Lou Williams, at three years and $21 million, is a definite bargain for the Los Angeles Lakers. The 2015-2016 Lakers, of course, will be largely defined by Kobe Bryant’s farewell tour, but Kobe may now feel more comfortable stepping back and playing up his considerable strengths as a facilitator, with Williams now in the fold to provide scoring punch off the bench. Famed dealmaker and smooth talker Pat Riley was at it again when he convinced Gerald Green to sign on with the Miami Heat for the veteran’s minimum. Green came into the league as a raw athlete, who ran the floor, cut backdoor and exploded towards the rim for thunderous jams, in traffic. With time, and a few trips in and out of the NBA, Green added a serviceable jump shot to his game, and even expanded his range beyond the three-point arc, culminating in a career year in 2013-2014, when he averaged 16 points per game, aided by 40% three-point shooting, for the high-octane Phoenix Suns. Miami now operates with a solid rotation featuring Dwyane Wade, Chris Bosh, Luol Deng, Goran Dragic, Hassan Whiteside, Green, and tenth overall draft pick, Justice Winslow. If healthy, the Heat will remain a dark horse candidate, to challenge LeBron James and the Cleveland Cavaliers in the Eastern Conference playoffs. We say “if healthy” because Wade and Bosh missed a combined 58 games of action last year. 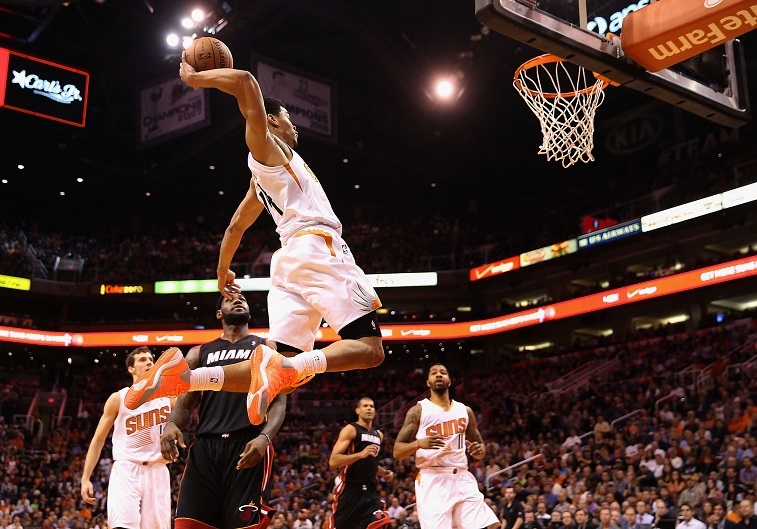 In Gerald Green, the Heat can now throw out another aggressive wing defender, and six fouls, at LeBron James. Green is also a fearless and streaky shooter, who will make James work defensively, especially if he were to get hot. In all, Riley has built a solid crew that seems to eschew the “smiling faces and hidden agendas” of players who had left South Beach in the recent past. The start of free agency looked like an unmitigated disaster for the L.A. Clippers, but after DeAndre Jordan’s eleventh hour return from Dallas, Lob City remains in tact, and is now flanked by Paul Pierce, Lance Stephenson, and Josh Smith, who signed with the playoff contenders for the league minimum. J-Smoove has always performed as somewhat of a maddening talent, in that he can literally have his way inside, but often prefers to float out to the perimeter, to jack up ill-advised shots. Smith also thrives in low-pressure environments, instead of being forced to face double teams, as The Man. 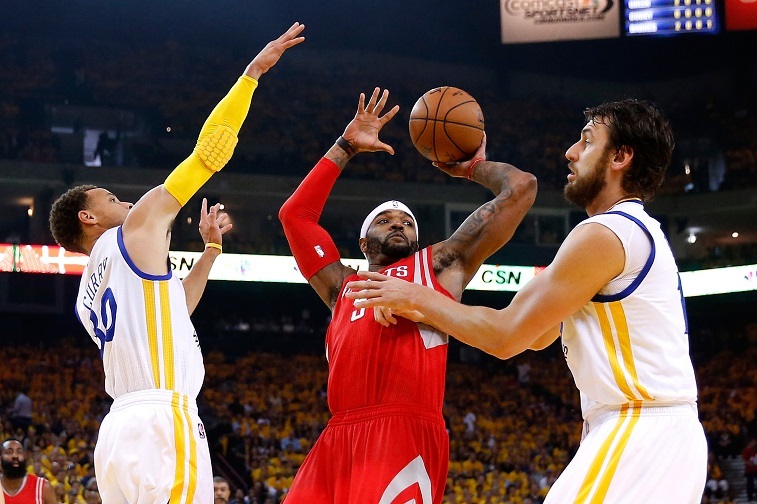 Ironically, Josh Smith was at his best, in helping the Rockets ultimately overcome a 3-1 deficit against the Clippers,in the 2015 Western Conference Semifinals. Putting it all together, Smith would stretch the defense with his solid mid-range jump shot, attack the basket, and hit Dwight Howard at the front of the rim for hammer dunks. For the league minimum, the Clippers are now getting a player who has stuffed his career stat sheet for averages 15 points, eight rebounds, three assists, two blocks, and one steal, while also undercutting a formidable conference rival. The San Antonio Spurs won the grand prize of the 2015 free agent sweepstakes when they signed LaMarcus Aldridge to a max deal. Aldridge figures to fit right into San Antonio’s motion offense, which forces mismatches through tough screening, constant ball movement, and balanced spacing. As a skilled power forward, LaMarcus Aldridge can post effectively on the low block, knock down mid-range jumpshots, and even use the dribble to drive the lane against lumbering big men. 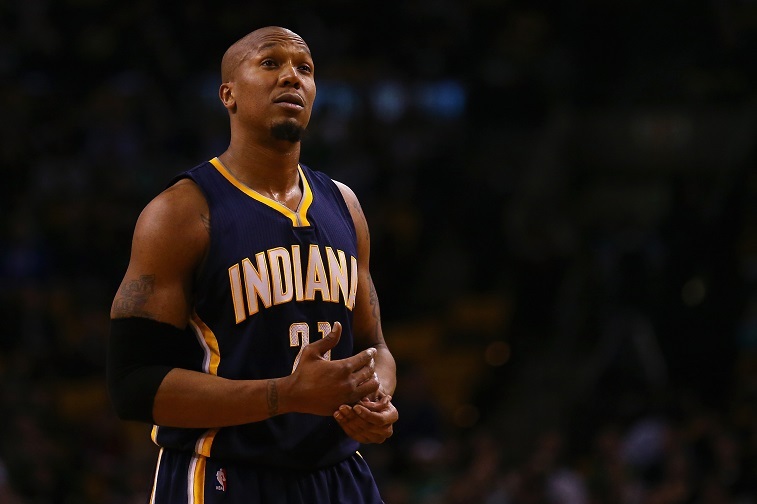 In addition (some might say for insurance), the Spurs went out and also signed David West, for the league minimum. West, in his prime, was a steady 20 and nine performer in New Orleans, and appeared in two All-Star games. From there, West made two consecutive trips to the Eastern Conference Finals as the emotional leader of the Indiana Pacers in 2013 and 2014. Now, at 34, West is now one of the more respected veterans in the NBA. Last season, West put up a solid 12 points, seven rebounds, and three assists per game, for the Pacers. In San Antonio, West will likely play big playoff minutes, and be called upon often, to mix things up on the inside. West has left millions of dollars on the table, in agreeing to take the league minimum, to join forces with LeBron James’s foils and chase after his first ring. Tim Duncan has anchored a long-running dynasty that has brought home five championships in 15 years to San Antonio. 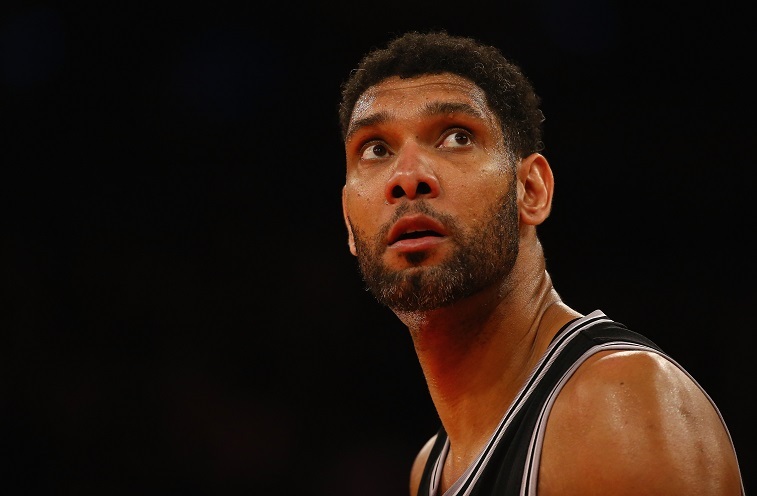 In the ultimate declaration of mutual respect, Duncan will close out his career as a Spur, after agreeing to terms upon a two-year, $10.9 million contract. For the sake of comparison, fellow living legends and franchise centerpieces Kobe Bryant and Dwyane Wade are due to rake in a combined $45 million next season. Wade and Bryant, however, have both battled a series of injuries in recent years and missed significant playing time, while the Big Fundamental carried on. Duncan, at 38, proved he still had a lot left in the tank, after going toe-to-toe against Blake Griffin and his high wire act in the opening round of the 2015 Playoffs. Old Man Riverwalk, in losing this epic, seven-game series, often beat the high flying Clippers down the floor, to average 18 points, 11 rebounds, three assists, one steal, and one block. By offering up his own hometown discount, has made sure that San Antonio will be back, locked, and loaded to charge through another deep postseason run out of the rugged West. All information courtesy of Spotrac and Basketball-Reference.